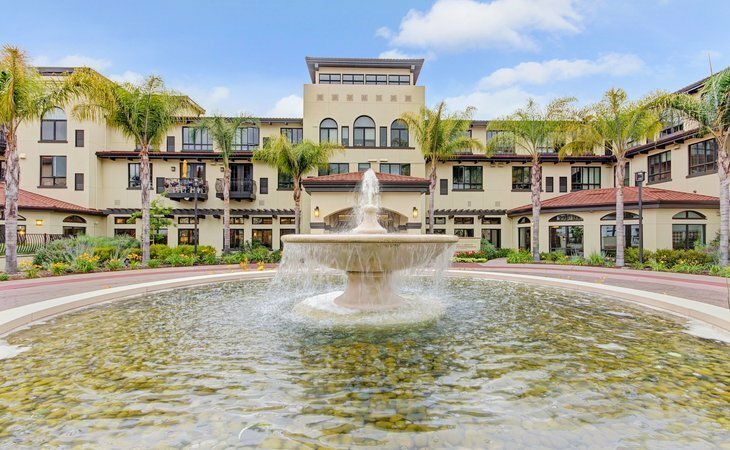 Families looking for assisted living in California (CA) have a wide array of communities to choose from, since estimated that there are more than 30,000 assisted living communities serving seniors across the U.S., and over 3,588 statewide. The state is also home to a rapidly growing number of senior citizens, with adults over 65 making up an estimated 14 percent of the population. A resident in an assisted living community in California will pay $4,500 per month on average. As of 2018, our family advisors have helped more than 51,182 families in California find the right assisted living community. See more than 9,697 authentic verified reviews of assisted living communities across California from residents and their loved ones. 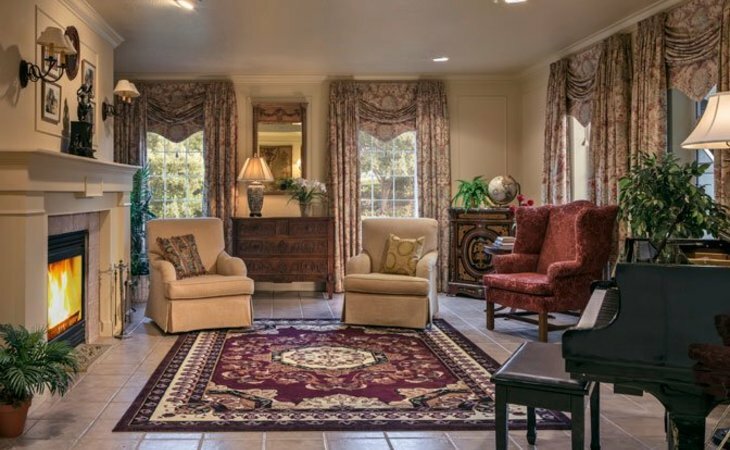 Browse our comprehensive directory of more than 3,588 assisted living communities statewide for photos and information about amenities, costs and more. Genworth lists the average cost of a private, one bedroom unit in an assisted living community in California as $4,635. This places California on the higher end of the scale at about $600 over the national average, and about $600 higher than the median cost of assisted living in nearby states. When estimating the cost of assisted living, it's important to know that average prices can differ significantly between various parts of California. 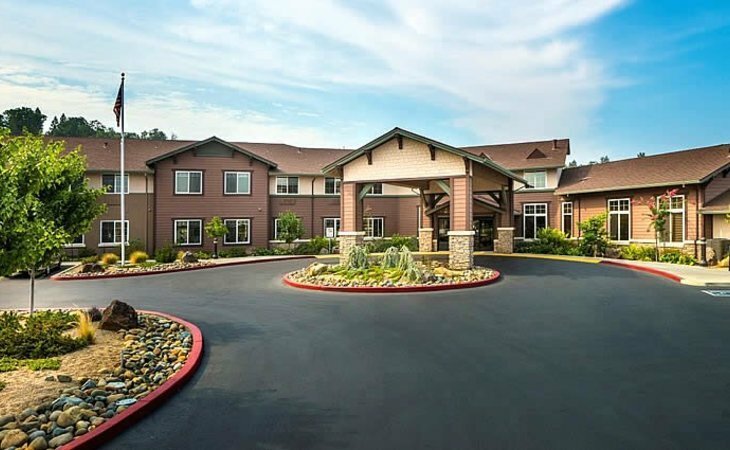 For example, assisted living rates in areas such as Santa Rosa are at least $1,000 more than the state average of $4,635, but in areas like Merced, you're saving on average $1,000. The most affordable region in California for assisted living is Bakersfield at $3,244. In California, Residential Care Facilities for the Elderly (RCFEs) is a blanket term for assisted living communities, memory care programs and Continuing Care Retirement Communities (CCRCs). California's RCFE Act was created to govern the operation of RCFEs and establish a consistent set of rules for all communities and programs to follow. Although the costs associated with assisted living can seem prohibitive, California offers subsidy programs to help low-income seniors afford the care they need. Medi-Cal is California's Medicaid system and is designed to provide assistance to low-income seniors. The Medicaid plan offers four programs to help seniors pay for assisted living. Assisted Living Waiver Program (ALWP): This program is designed to help those who are eligible for nursing home care to opt for assisted living by offering supportive services such as meal preparation, medication administration, and assistance with personal care. Eligibility for waiver programs requires Medi-Cal approval. To qualify for Medi-Cal, seniors must be at least 65 years old or have a documented qualifying disability. The individual must also have an annual income that falls below 138 percent of the current California poverty level and qualifying assets that total no more than $2,000. Exceptions can be made for those with assets over the income and asset limits if they are subject to high medical expenses. Applications for Medi-Cal can be submitted by mail, in person at a County Social Services Office, or online. For assisted living, Area Agency on Aging offices in Calfornia can sometimes offer financial support, although each office determines the services they cover. Eligibility varies across different programs. Disqualification of Medi-Cal does not necessarily prohibit participation in the program as there are numerous exceptions that affect eligibility. Area Agency on Aging offices have different eligibility requirements depending on office policies and the services an individual is applying for. To apply for assistance from the Area Agency on Aging program, seniors must contact their local office. California seniors also have access to nonprofit organizations and government-funded agencies that offer assistance for care. The California Association of Area Agencies on Aging (C4A) is a nonprofit organization that works as an advocate for seniors to help them find and receive supportive services from state and local programs. A list of all California Area Agencies on Aging can be found below. VA facilities offer support to senior veterans and their families by helping to find in-home care or residential care options. An assigned VA case manager can determine an individual's needs and match him or her with the appropriate government program. The VA offers programs that can provide financial assistance for housing and care to veterans who need supportive medical services. A list of all California VA centers can be found here and on the U.S. Department of Veterans Affairs website. Social Security offices are available to help seniors understand their Social Security benefits and navigate applicable Social Security programs. Applications for benefits can submitted in person at one of the local offices or online on the Social Security Administration's website. A list of Social Security offices in California can be found here. All assisted living communities in California must adhere to the state's laws and regulations regarding care of their clients and program policies. Here are a few state regulations that govern California's assisted living programs. Propective residents of assisted living communities must submit to a resident appraisal before moving into an assisted living community. This includes an assessment of mental capacity, physical capabilities (how well the resident can perform daily living tasks) and social/emotional factors to help the management decide if they can appropriately serve the needs of the prospective resident. Applicants must also submit a medical evaluation from their current physician that includes present health status, prescription medications, medical conditions and special dietary needs. In the event of any major changes in a resident’s health or status, both the resident appraisal and the medical evaluation need to be updated to ensure the resident’s needs are being met. are able to administer their own medication. may need reminding or assistance with their prescription medications due to physical restrictions or absent-mindedness. obtain medical treatment off-site or from a visiting nurse. have mild dementia or a short-term emotional distress from a life change or personal loss. require care for special tubes, such as tracheostomies, nasogastric tubes, etc. require treatment for serious infections. Assisted living communities provide two types of services outside of room and board: basic services and care and supervision. Basic services include planned community activities, personal assistance and help with setting up medical and dental visits. Care and supervision includes helping residents with hygiene, dressing and grooming, assisting with self-administered medications and supervising dietary needs. AL communities do not have the capabilities to meet the needs of those who require extensive medical care. However, residents with medical conditions that can be managed on their own or with care from a licensed professional can be admitted to live in a community. Such conditions includes diabetes, catheter care and oxygen use. Communities in several counties in California accept payment for services for the elderly from the state’s Medicaid 1915(c) Assisted Living Waiver program. Residents who utilize the Medicaid Assisted Living Waiver program require private occupancy, unless the resident chooses a shared-occupancy residence. 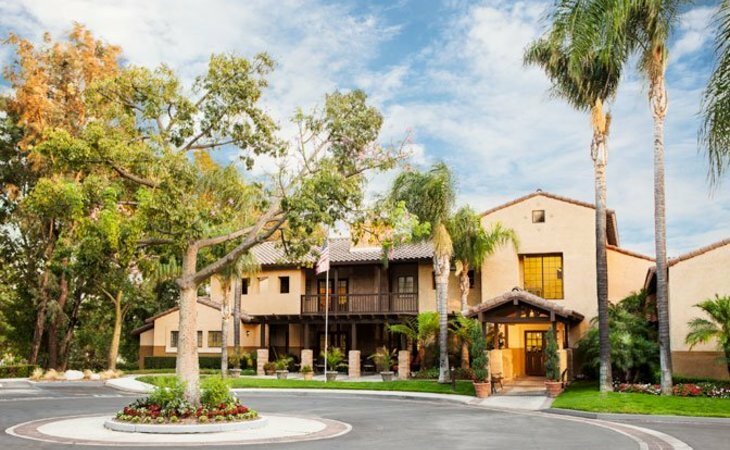 In California, assisted living communities can provide single or double-occupancy rooms to residents and apartment-style units are not mandatory. For every six residents, there must be at least one toilet and sink, and one bathtub or shower per ten persons. For residents who opt to make use of the Medicaid Assisted Living Waiver program, communities must provide them with a private residence, though they may choose to have a roommate. Each unit is required to have a kitchen space furnished with a cooking appliance and a refrigerator. Certified medical professionals are the only employees permitted to administer medication to residents. Unlicensed staff members are allowed to provide assistance for self-administration of medications as prescribed by a physician in certain situations, including minor or temporary illnesses, poor vision, hand tremors or comparable conditions. While staff can help with self-administration, this does not involve concealing medication in foods or drinks, pressuring a resident to take medication or any other ways that could interfere with a resident’s right to refuse medication. Every assisted living community in California is required to have a certified administrator who is responsible for managing the property. When the administrator is not available, a designee must be appointed. Staffing requirements for awake staff are determined by the size of the community. In a property with 16 or fewer residents, staff must be accessible to the residents inside the building. Communities with 16-100 residents must have at least one awake staff member, while those with 101-200 residents require one on-call and one awake, plus one additional awake staff member for every 100 residents. Caregivers are required to have first aid knowledge, complete 40 hours of initial training, and complete 20 hours of continuing education every year. Education topics include emergency response, resident rights, personal care services, cultural sensitivity and identifying dementia. All staff must receive on-site training about community resources, sanitation protocol, how to assist residents with their medication and how to determine if a resident may be in need of professional help. All employees and licensees are subject to a criminal background check and must not have been convicted of any crime other than a minor traffic violation unless granted an exemption by the director. Fingerprints must be submitted to the Department of Justice and the Federal Bureau of Investigations to obtain state and federal criminal history. Anyone living within the community who is not a client in need of assisted living care is also subject to a background check. Elder abuse includes any instances of physical or emotional mistreatment causing pain or suffering, sexual abuse, neglect or financial abuse. All administrators, licensed staff and caregivers that provide services to residents are mandated reporters of elder abuse. Any person, including residents, their loved ones and outside personnel, can file a complaint about suspected abuse at an assisted living community to the Community Care Licensing Division (CCLD) of the Department of Social Services. CCLD offers a complaint hotline for reporting abuse at 1-844-LET-US-NO (1-844-538-8766) or email letusno@dss.ca.gov.